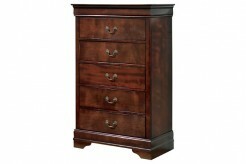 Gabriela Chest with elegant detailing and rich inviting finishes, the Old World beauty of the Gabriela Chest transforms the look and feel of any bedroom decor with the elegance of a warm traditional design. 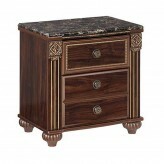 With a replicated mahogany grain bathed in a deep red finish along with richly finished beaded, carved and rope details, this furniture collection flawlessly captures the true beauty of Old World style. 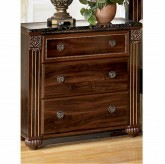 The intricate details of the fluted bun styled feet makes the Gabriela Chest the perfect choice to enhance the beauty of any home. 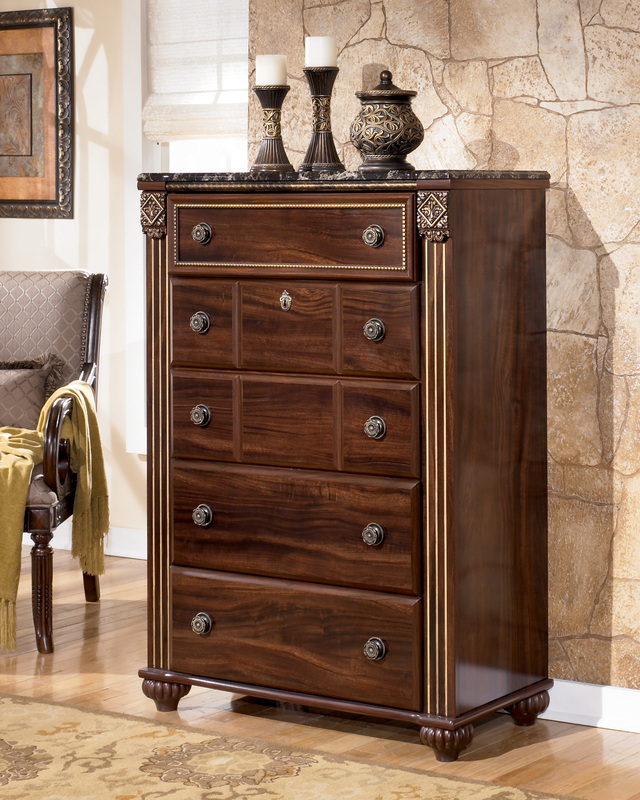 Constructed with richly finished beads, carvings and rope details throughout the collection, framed top drawers with gilded bead detail, side roller glides for smooth operating drawers, fluted bun style feet support the cases and detailed antique gold color hardware. 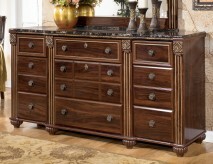 Furniture Nation is proud to offer the Gabriela Chest online. 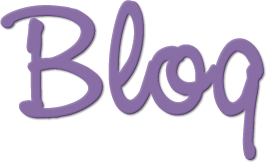 We serve customers across the DFW region including Weatherford, Irving, Frisco and many more. L36.14" x D16.77" x H49.69"